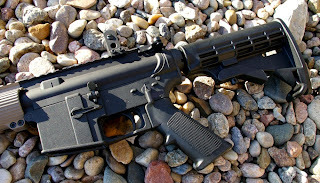 A complete $99 polymer AR-15 lower is something which can give you pause. The concept originally hit the market several years ago and the online banter questioning the durability has not stopped since. Without naming names, let’s call the original polymer AR-15 manufacturer “plum insane” and their customer service practices lacked anything identifiable as customer service. That level of customer service paired with a bunch of unfounded claims that polymer AR lowers will never hold up like metal... uh guys every heard of Glock, or products called polymer or wood, both of which have been the supporting stocks for elephant gun calibers. 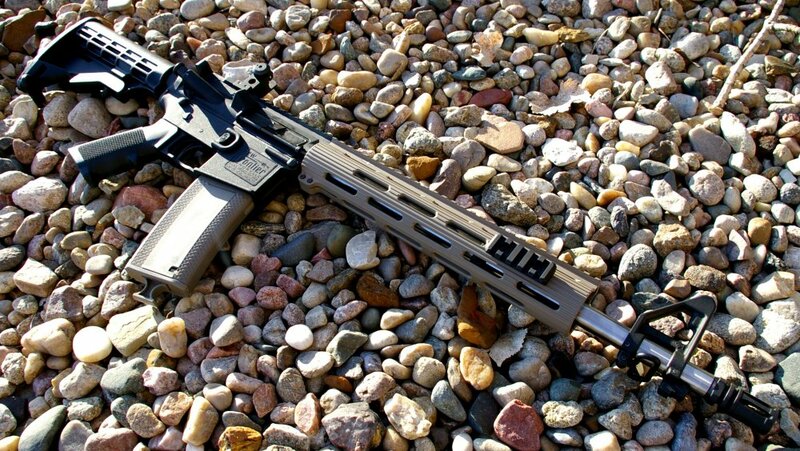 From my research, actual owners loved the polymer AR-15 lower receivers, but regardless of those reviews, the arm chair commandos continued the banter. Because I realize it is pointless to argue with closed minds, I decided to do my own research and test one myself, but that “plum insane” company never returned my calls to place an order and from my understanding has not shipped any product for some time. Fast forward a year and I find out that New Frontier Armory is offering complete AR-15 polymer lower receivers for under $100, tauting great support, and an expansive product line of upgraded complete assembled AR uppers as well. Founded in 2009, New Frontier is a Class III veteran owned firearms dealer founded to provide both local and online customers with fair prices, honest information, and the best customer services possible. Unlike the “plum insane” place, someone educated actually picked up the phone at New Frontier Armory and answered enough questions that am now the owner of a $99 New Frontier Complete AR15 LW-15 Polymer Lower Receiver. Yep, $99 is a great deal on a lower; one complete with trigger group, all the pins, buffer, M-4 6-position stock, and grips all ready to pin up to your upper. Once in hand through an FFL transfer, I am a believer in better living through plastics. The first thing you will notice is the very light weight compared to a forged aluminum receiver, the second is that despite being a polymer lower, the New Frontier LW-15 feels solid and only has a minute flex. Finish is a subdued tactical texture finish which looks good matted to any upper, but will not match the smooth finer finish of typical forged upper and lowers... after all this entire complete lower is only $99. The minute flex I mentioned earlier allows just a little tension and resulting in the tightest fitting lower compared to ANY of my other lower receivers. New Frontier calls this their “Zero Slop” fit. I have pinned this up to no less than a Yankee Hill Machine, Del-Ton, Spikes, DPMS, Aero Precision, Mega Arms, S&W, CIV Tactical, and Ruger uppers and all were gap and wiggle free. The New Frontier Armory LW-15 is the same profile as any standard forged AR-15 lower and is assembled with the same US Made buffer, commercial buffer tube, M4 6- position stock and grip you will find on any standard AR build. What will surprise you is that the take down pins, hammer/trigger assembly, safety lever, and magazine release are all also polymer. 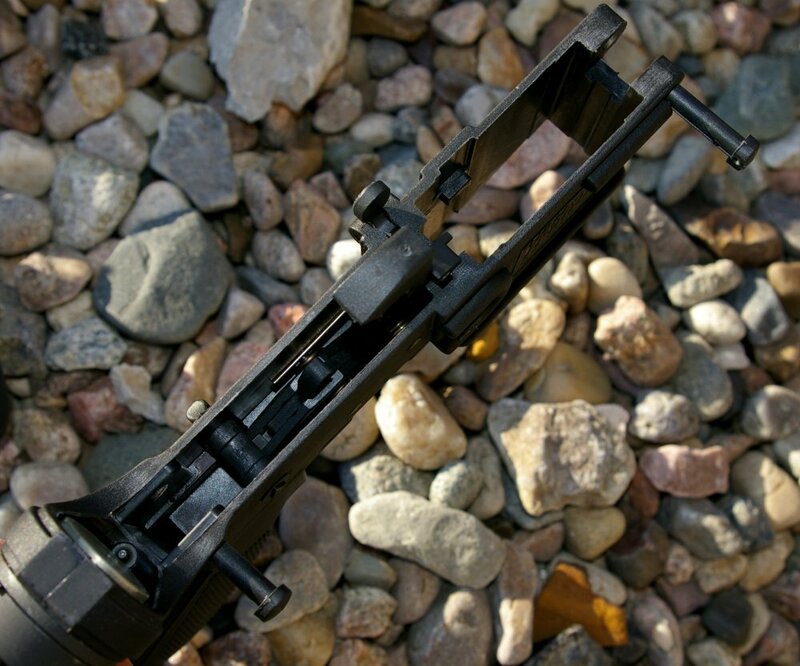 Most folks will be OK with almost all the parts, however buyers will cringe a bit about the thought of polymer hammer, trigger and take down pins, but it all works as reliably or in some cases even better than metal parts. 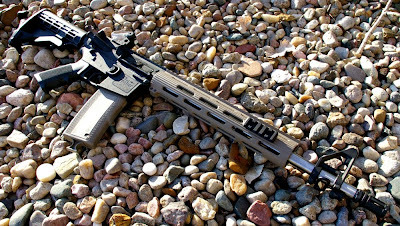 If you think about it nearly every tactical pistol today has a polymer lower and trigger, this Polymer AR-15 lower just offers some additional parts beyond what we normally see. 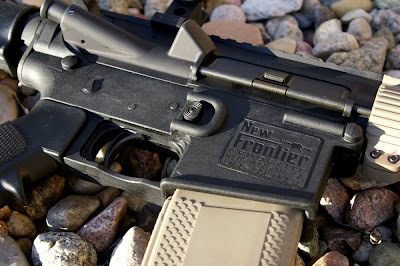 New Frontier is using some of the same molds from the same OEM manufacture that “plum insane” place used, however New Frontier Armory has tweaked the polymer blend to make it stronger. 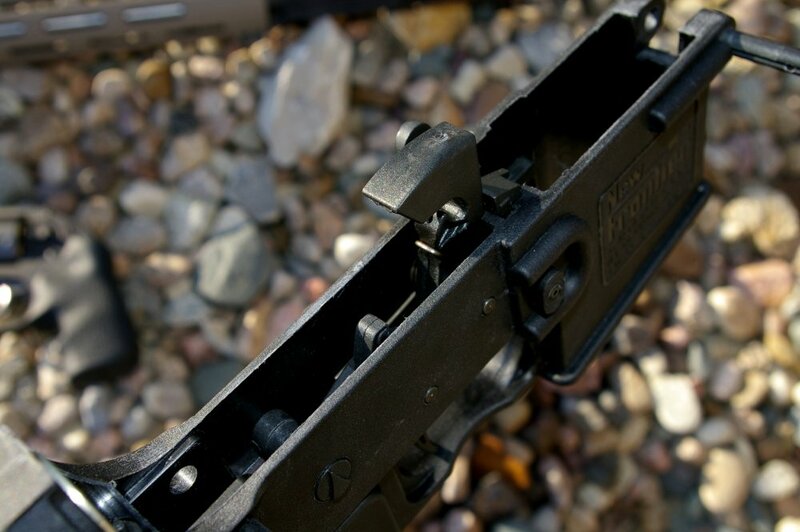 Polymer has some great durability, weight, and cost properties which are all delivered in the LW-15. LW-15 stands for Light Weight AR15 Lower and at 1lb, 11oz complete compared to a forged aluminum 2lb, 3oz complete lower, you save 7.2oz of weight. Another advantage of the polymer is that it is not surface finished like metal which can be scratched off. Although the polymer is tough and scratch resistant, deep gouges from rough treatment will not show up as shiny white lines like on aluminum receivers. I also found that the New Frontier Armory LW-15 was also much easier to clean and I found myself mumbling a couple times that it must be part Teflon. The trigger group really, really surprised me.... I mean its plastic for Pete’s sake. 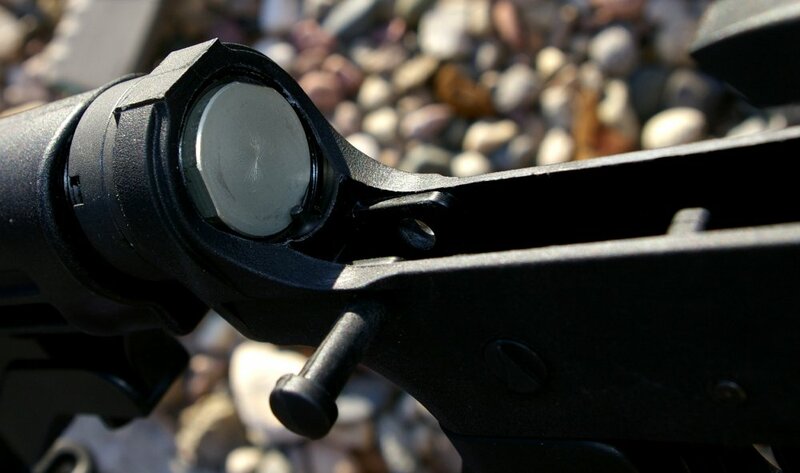 Pulling New Frontier Armory’s Accu-Group trigger the first time blew me away with a crisp 4.5lb trigger pull was which is leaps above any standard DPMS parts trigger group (which by the way about 95% of the industry uses). Crisp, very little take, up, no grittiness, and almost no over-travel. I found myself wondering if I could use this trigger in my other AR builds and although I have not tried, the LW-15 is 100% compatible with any Mil-Spec lower parts so, if you wanted to drop in a Geissele trigger and aluminum take down pins or other parts, you could. One part which is a little different is the reversible safety selector which can accommodate left or right handed shooters. By offering this flexibility, the safety can be placed back into the safe position on a hammer forward empty chamber state which may feel a little odd. New Frontier has received feedback and has now updated the safety to standard format which addresses user feedback and further enhances the overall design. Perhaps most importantly is that the New Frontier Armory LW-15 100$ receiver is USA made and the parts kit used is as well. As they do with all their products, New Frontier Armory also backs the LW-15 up with a lifetime warranty when used as directed. When I asked about this, the "as directed" comment, it was shared that some folks will try to break the lower and expose it to stresses and situations which the user would never dream of subjecting their aluminum receivers to. According to New Frontier’s abuse and testing videos, the LW-15 actually takes more stress and remains functional longer than a forged receiver will. Take a look at their http://www.lw15.com/ site for all the crazy torture tests that show you just how tough the LW-15 lower is. With the exception of safety lever having the odd feature/ability to move into safe on a hammer forward chamber empty situation, the LW-15 ran perfect and I mean flawlessly with no issues on three uppers selected to do range testing including the pictured Model 1 Sales Dissipator Upper customized by yours truely. The results of well over 400 rounds of various ammo and uppers were a LW-15 which looked a bit dirtier, but exactly the same as it did when I received it. Even the polymer hammer looked the same which is an indication that New Frontier’s tweaked polymer blend is extraordinarily tough. 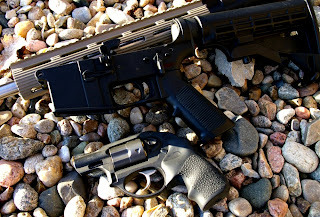 At this point I have several polymer framed Glocks, Kel-Tecs, Ruger LCR revolvers, and plastic stocks on a whole bunch of various more traditional looking guns, and almost all of our magazines are now made of polymer, so I have to ask myself, is the New Frontier Armory LW-15 really that much different? After all my Glock and Kel-Tec firearms also feature plastic triggers. Ruger even has a polymer 357 and who saw that coming. With the exception of the innovative polymer hammer, it really is not that earth shattering of an idea. It performs just like its metal counterpart and in some situations it will outperform aluminum as shown in New Frontier's torture test videos. New Frontier has already built a name in the business as a customer service focused company with some great gorilla marketing tactics which put their mouth and their money on the line in the form of video torturing the LW-15 to the extreme (actually stupid extreme). If these videos do not obliterate your doubts of durability then I guess you you will probably be best served with a wood stocked M14 and classic 1911. 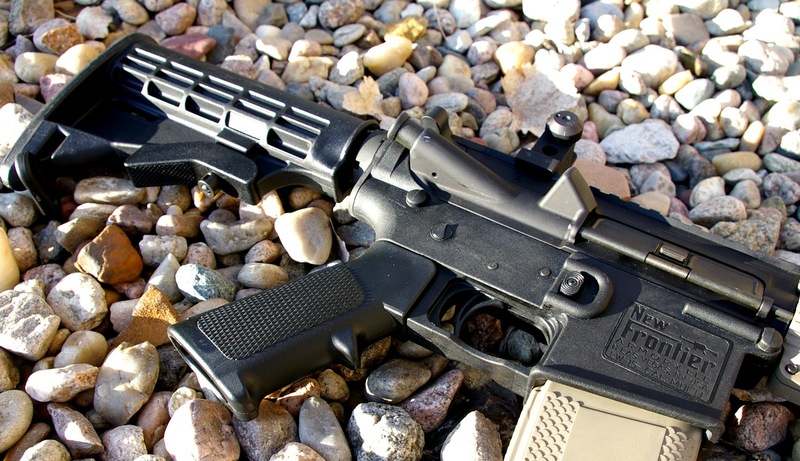 For those of us who have embraced polymer in our firearms, the New Frontier Armory LW-15 is one heck of a $99 deal on a complete AR-15 lower receiver which would not hesitate to use even on a defensive build. I am sure you will see this lower in other builds to come. 1LB, 11oz compared to 2lb, 3oz of a similarly equipped forged lower. I just ordered my LW-15. Cannot wait for it to get in! This will be my first AR build and I'm kinda looking forward to having something different on the range. I've had mine for a couple of months now and am really pleased. I did have a problem initially with the trigger not resetting, I had to manually push the trigger forward after each fire. The NFA guys were great at trying to help me resolve this, even sending me all new trigger assembly parts (minus the springs and pins). However, even these didn't solve the problem. I did manage to solve the problem by adjusting the trigger spring to put more tension on it. It only took a little bit but this seem to give it enough pressure to allow the trigger to reset. I put about 300 rds through it just to make sure. All seems fine now. If you are not having any more issues that is great, however I would reach out to NF and let them know. I have heard they really like as much feedback as possible and I would probably suggest going ahead and replacing the springs anyway. Thousands of rounds later and mine is still working like a champ. I'm most likely going to pick one up this week. Trying to build something cheap and the price on this syntehtic lower very much helps with that. I'm just hoping I'm not throwing my money away, heh... I'm a bit anxious about the polymer holding up well. Been just as durable as a forged lower for me and mine has seen 1000s of rounds at this point. Have you done any extensive field testing with this rifle? I understand that you have fired 1000's of rounds, but how much of that has been via bench fire as opposed to field use/run-n-gun application? I run my stuff pretty hard, and I want to make sure this can keep up with me. Care to expand on your application of this rifle? Some of that is off the bench however the vast majority is 3-gun style training (running and gunning. It has a few scrapes and dings in it, but really quite impressed with the durability. The problem earlier with the other brand was that people were pushing it far harder than they ever would push a forged lower and then complain they broke. Its a great lower even taking the price thing out of the discussion. Thanks so much. I think I'm sold. MAJOR PANDEMIC PLEASE HELP I GOT A PROBLEM WTHE MY NFA LOWER IT WILL SHOOT ONE ROUND AND CHAMBER ANOTHER ONE BUTH THE HAMMER WONT STAY BACK IT GOES BACK UP WITH THE BOLT. WHEN I PULL THE CHARGING HANDEL AND BOLT BACK AND DON'T HOLD THE TRIGGER BACK THE HAMMER WILL LOCK BACK BUT IF I PULL THE CHARGING HANDELE AND BOLT BACK HOLDING THE TRIGGER BACK IT WILL NOT LOCK IN PLACE. DON'T KNOW WHAT THE PROBLEAM IS PLEASE HELP!! Cody - Sorry to hear about your problem. May want to turn off CAPS lock... seem like you are YELLING. Sounds like your fire control needs to swapped out. Most likely your sear or hammer spur has gone amiss. I would call up New Frontier Armory and see if they can just send you the parts. Trigger groups are simple items to replace. Do magazines drop free with the New frontier? I own a "plum" lower and the mags "sticking" rather than dropping is one of my few complaints about it. I am using Pmags, so its a poly/poly surface, and have not tried metals. How has your experiences with mag drop been with the new frontier? I just bought one for my birthday. I bought a stripped lower and am deciding to put a metal lower parts kit and milspec stock. Can't wait to take it shooting! I'm glad there's some people that have an open mind to try new things. You couldn't believe all the "commandoes" slamming me on forums for buying a "plastic" lower. These guys admitted to not touching, shooting or even seeing one in person, but they say their garbage. Whats wrong with people? People complained about polymer pistol frames too. Look at Glock and H&K; their some of the most respected firearm companies. Great review Major Pandemic and thanks for being open minded and willing to try new things! 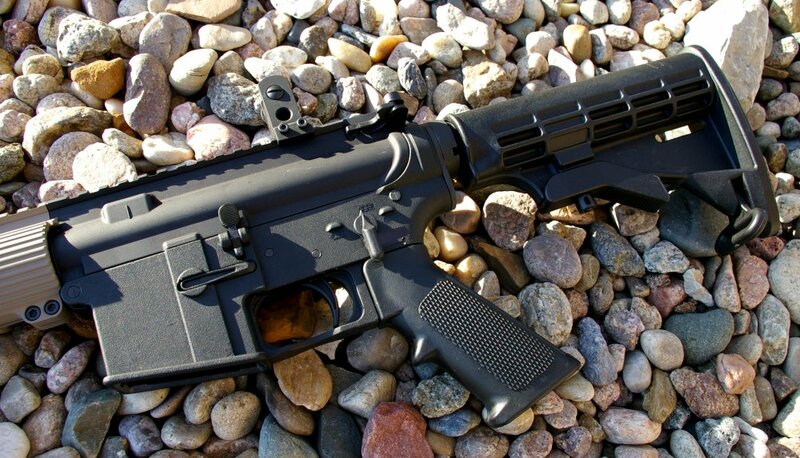 How would it work with a colt 6920 upper? Cody, did you ever solve your problem?